LOGOBOX is a Czech service that can display its logo based on the company ID. Allows you to equip the customer or his contact with the help of the logo faster. 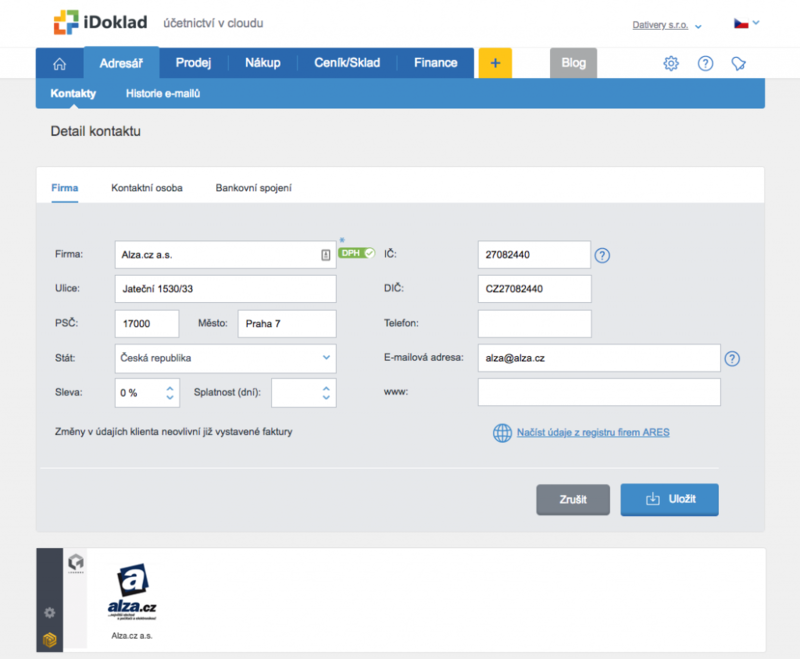 Many Czech accounting applications or CRM already have logos support from LOGOBOX. But what do you do with applications that do not have or have no ID in them? Such applications can be enhanced with Dativery, an instant integration tool. Dativery allows you to display the logo from LOGOBOX in a wide range of supported applications, whether accounting, billing or CRM (current list). The logo can also be displayed in cases where the ID is not available, for example in a helpdesk or in an application that does not even register it. If the ID is missing, Dativery searches for it by company name using, for example, your CRM, or searches for it by e-mail address in social networking information such as LinkedIn data. Sign up for Dativery. Google and Microsoft accounts are also available. Add the Dativery extension to your browser. Choose the LOGOBOX integration scenario into your application. Once the installation is complete, just open the application and its part where the logos are displayed. You will see the Dativery panel and the logo for the current record. Note: Message sent usually twice a month.